You probably heard by now that stem cells work in many challenging conditions ranging from cancer to back/joint pains. Media has many stories of athletes and celebrities getting stem cell procedures. Stem cells do hold a lot of promise. In fact, Scott Gottlieb, the FDA commissioner had this say about stem cells, “These concepts are no longer the stuff of science fiction, but rather real-life science where cells and tissues can be engineered to grow healthy, functional organs to replace diseased ones”. However, since stem cell technology is new and a rapidly developing, many do not know enough about them. If you are curious to find out how stem cells work in back pain and joint pain, you landed in the right place. These are special cells which repair and replace damaged cells in our body. If we don’t have stem cells, we would die. Every tissue has stem cells and they are primarily responsible for the health of the tissue. Two characteristics are unique to stem cells. 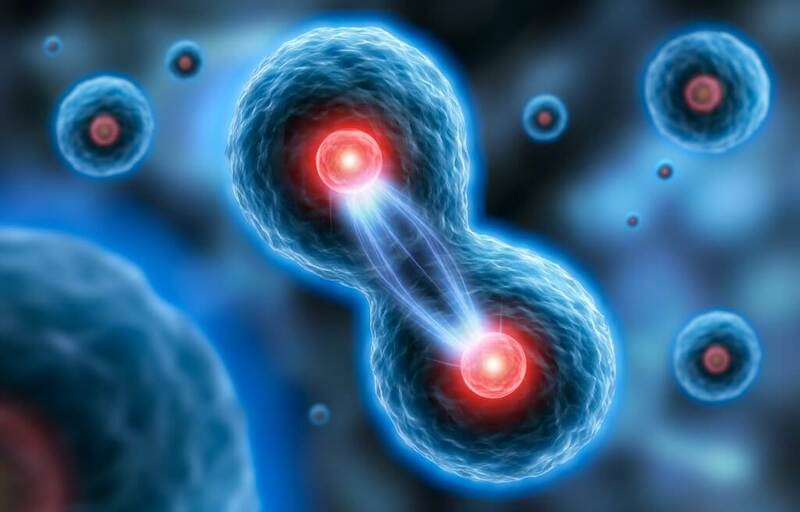 One, they are capable of self- replication which means one stem cell can divide into 2 stem cells. Secondly, they can differentiate into different types of cells. For example, if the body needs new cartilage, the stem cell can turn in a cartilage cell. I will use an example of a joint to explain. This could be any joint in the body, ranging from a large joint like the hip to a small joint in the spine like the facet or disc. Let’s assume a healthy joint is a new house [I am comparing the joint to the house to make the explanation of this topic easy to understand and hopefully you won’t fall asleep]. Everything in the new house works well. With time, the house deteriorates. Similarly, with aging, injury or genetic predisposition, the joint deteriorates. Typically, the joint has bone [let’s call it the wall of the house], articular cartilage which surrounds the bone [insulation], synovial membrane around the articular cartilage [paint], ligaments/tendons which connect different bones to each other [beams], synovial fluid which lubricates the joint [water in the pipes] and nerves [electric circuit]. Any of the structures mentioned above can cause pain when damaged. Like I said before, every tissue in our body has stem cells. Usually, the damage to the joint does not overwhelm the local stem cells, and pain disappears as healing occurs. This healing is orchestrated by the local stem cells. Unfortunately, sometimes the damage is so severe that it overshadows the repairing capabilities of the local stem cells. That leads to chronic pain in the joint. The new home you once had, is now inhabitable as it exists in a hostile environment. This is how the house looks now: there is severe damage to the wall [bone] from rain and winds. Water is now leaking into the house. Beams [tendons and ligaments] are getting weaker. There is mold damage to the insulation [articular cartilage]. Termites are eating away the wood framing of the house [tendons and ligaments]. Pipes [synovial fluid] are leaking. Electricity [nerves] is going haywire. This is why you need stem cells from an external source injected into the joint, so they can heal and repair the house as local stem cells are not capable enough. These external stem cells act as a general contractor and repair the damage. It’s not just a regular general contractor, it has special powers, like a superhero. Let’s call the stem cell a “super contractor”. So, what does the super contractor [stem cell] do? Firstly, the super contractor [stem cell] assesses the situation of the home and self– duplicates to create many super contractors. This helps in better coordination of the job. Then, the super contractor stimulates, and jump starts the “native stem cells” in the joint to get active. It’s like asking your kids to get off their electronics and start helping clean and repair the house. Studies have shown that in damaged joints, there is proliferation of native stem cells. Despite increased numbers, they do not participate in repair because of poor signaling and communication between them. Exogenous stem cells fix this problem. The multiple super contractors, along with activated kids, now start working to repair the damage themselves. Fortunately, they have an abundance of tools and materials to accomplish the job. Some of the stem cells also become new bone and cartilage cells. This is an important characteristic of stem cell and is called “differentiation”. Apart from becoming new cells, they resurrect dying bone and cartilage cells. They accomplish this by 2 mechanisms. Firstly, they create nanotubes. These are 50–200 nm diameter filaments that stretch between cells. Through these tiny tubes, stem cells transfer their mitochondria and stimulating proteins. Stem cells can rescue cells with nonfunctional mitochondria by the transfer of either mitochondria or mitochondrial DNA. This rejuvenates sick cells. Secondly, stem cells have exosomes which are 30–100-nm plasma membrane-coated vesicles. The most important content in exosomes are RNA and mRNA. The vesicles also contain important growth proteins and cytokines. Exosomes move from their intracellular location to the periphery and fuse with the plasma membrane and release their contents into the native cells. This released RNA when picked up by cells, enhances the cell survival by altering the genetic code. They also secrete extra-cellular matrix which enhances cell survival. All these actions result in cell rejuvenation. Transfer of mitochondria/proteins through nanotube along with transfer of RNA and mRNA from exosomes results in “apoptosis reversal” which simply means reversal of cell death. Stem cells also rescue dying cells by a process known as “Cell Fusion“. They fuse with the dying cell and energize and revitalize the dying cell. Now that you know how stem cells work in back pain and joint pain at a cellular level, lets apply that knowledge clinically. Stem cells as described above are known to cause regeneration, significantly reducing inflammation and preventing the body from attacking the joint. Initially, it was thought that regeneration is the most important mechanism by which stem cells work. However pain relief also comes from the anti-inflammatory and immunomodulatory functions of the stem cells. Clinical trials in the spine and knee are showing promising results in terms of pain relief. Fortunately, that is what patients and doctors are looking for. Now you know how stem cells work in back pain and joint pain. Housekeeping notes: Bone marrow stem cells seem to be the most effective and compliant per FDA guidelines. Make sure you receive treatment only from legitimate clinics and avoid being overcharged. Do your homework before signing up for these procedures. Get your house in order! !